A line we’ve all heard in meetings or read in briefing emails. Social media is the new magic bullet and one tweet or Facebook post will OBVIOUSLY reach everyone we need it to. As we know, it’s not quite as easy as that. At Doncaster Council we’ve developed something of a reputation for our social media over the last few years. We’ve taken risks at times and tried different, often unexpected, approaches to content in the hope of engaging with our target audience and beyond; with varying degrees of success. (Then when all else fails we tag famous Doncastrian Louis Tomlinson in a tweet and shamelessly use One Directioners to boost our figures. Whilst this has brought about some huge successes and enhanced our reputation no end, there’s never really been an exact formula for how we ‘create a post’. At times we’ve been really excited about content that we are certain will break the internet…and it flops. Other times we’ll pull something together in 15 minutes and it engages much more than we expected. Well we wanted to know why! So we’ve been analysing our content over the last few months to try and find out what works best on each channel – particularly Facebook and Twitter. Doncaster Council’s Facebook page (@My Doncaster) has over 19,000 followers. 55% of those are aged 25-54 and 70% are women. 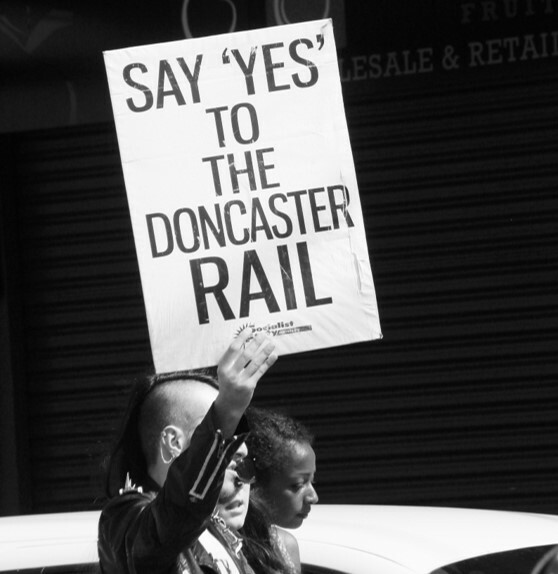 Most importantly around 90% of our followers are local (Doncaster) residents! Doncaster Council’s Twitter page (@MyDoncaster) has over 19,500 followers with a much more balanced gender divide compared to our Facebook page; 45% are male and 55% are female. Where do they live? Well only 49% of our followers are from Yorkshire and the Humber, never mind being Doncaster residents. Just looking at these simple numbers clearly shows that we have two very different audiences on our two main social media channels. So how does that affect content? Each month I export the analytics for our social media content and produce a report of the most successful posts to share with the rest of the comms team. The original idea behind this was to help my colleagues when evaluating their campaigns and also show that I wasn’t just sat watching videos and playing on my phone all day. However, what we started to notice was that the posts with the biggest reach/engagement were (almost always) completely different on each platform. Details of an upcoming road closure. Video (taken from our office window) of some demolition work taking place on a building ready for a new development. Short video of us following the official RLWC page after being announced as a host venue. A comment RT of Chris Froome saying he may ride the Tour de Yorkshire (which starts in Doncaster) this year. With the exception of the Athletico Mince tweet, these were posted on both channels, so why did they perform on one and not the other? We’ve found the Facebook content that engages best for us is local and informative. It doesn’t have to be particularly clever or quirky but it needs to be on subjects that matter to local residents. In previous months our best performing post has been a simple line about school applications being open with a link to the webpage or a screenshot of an amber weather warning! Twitter is different. On Twitter we have more room to be quirky and if we want to engage further than Doncaster then we need to be original. Over the last few years, a personality has been developed on this platform (mostly thanks to some sterling work by my predecessor and manager) which means that being local isn’t as much of a priority. It allows us to tap into trending memes a little bit more and put our own Doncaster slant on them; enhancing our reputation both with residents and further afield. So what does this all actually mean? Well to go back to the very start, it means that we are no longer simply posting the same content across all of our platforms and hoping for the best. We’re trying to be much more strategic with exactly what we post on to each platform. We now also have the figures to back it up if questioned by a service as to why their event poster hasn’t been added on Twitter! We’re engaging much more of the target audience for campaigns with key messages by having a better idea of where they will be and what they will engage with. We can subtly (or sometimes unsubtly) completely change our approach depending on the platform without this having an impact on the key messages of the campaign. Obviously it’s never quite that simple, but by staying on top of our analytics and noticing certain trends we’re giving ourselves a better chance of engaging with our target audience and we’re seeing our monthly reach/engagement numbers steadily rise. - Keep on top of all channels. I haven’t touched on it here but we’re also keeping stats on Instagram, LinkedIn and Snapchat. Our followers on these channels are small but continue to grow, and are all different demographics. - Talk. The best ideas usually come when you’re bouncing things around with colleagues. In Doncaster, we have regular team meetings to discuss social media campaigns, and every Monday we have a social media stand-up to look at all the things we have going out that week as a full communications team. - Don’t overthink content ideas. We usually give ourselves a time limit. If we can’t think of a seed of something in 15 minutes then we’ll probably shelf it. - Evaluate. Look at a successful post and don’t just think you got lucky – work out why it was successful! - Be Human! And if you can’t be human, be a dancer.